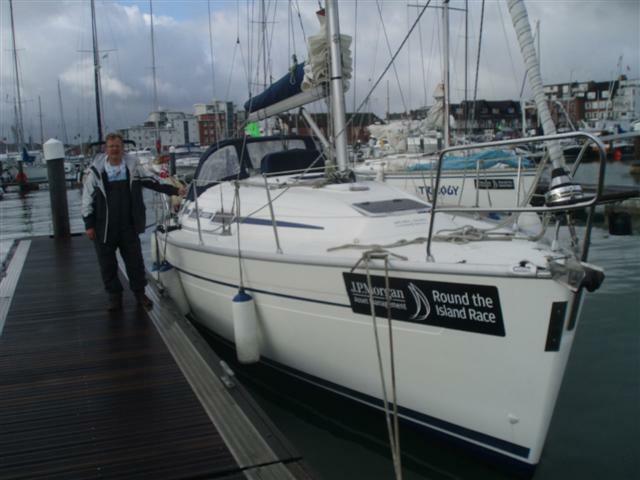 Regular readers of my blog will know that I took up sailing in my retirement so I was delighted when Andrew Kirton asked me to crew for him on his yacht “Mirabeau” in the Round the Island Race this year. 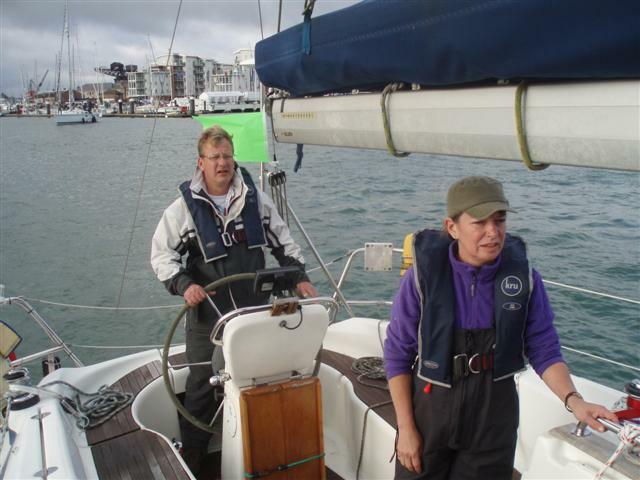 Andrew and I got our Day Skipper certification with the Hamble School of Yachting in April 2009 and have sailed together regularly since. Other members of the crew were James (Andrew’s son), Janet and our most experienced member, Kerry. She has been sailing since she was a child and has her own yacht berthed in Minorca. 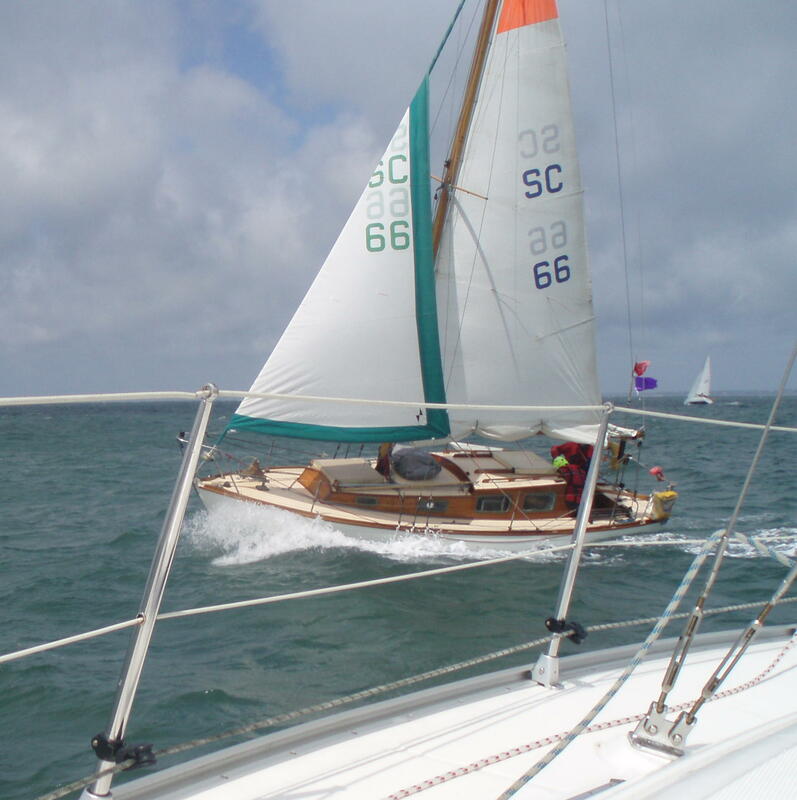 We all met down in Sway on Friday 29 June, had lunch, and made last minute preparations to Mirabeau, numbers of the mainsail, stickers on the bow and then we set off for Cowes Yacht Haven. Andrew glided us expertly into our berth which was rafted against another yacht. After dinner, courtesy of J. P. Morgan Asset Management, I turned in early. The next morning was a mixture of excitement and anxiety. 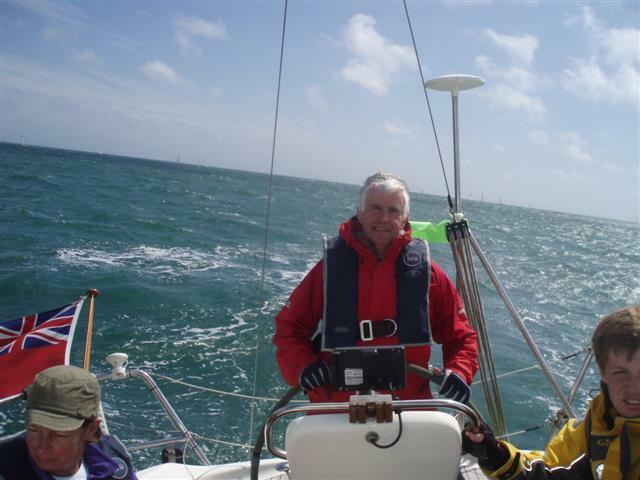 Andrew had done the race before but not as Skipper, I had been round the Island but never raced, Kerry was perhaps the most relaxed and the other two had limited sailing experience. It was wet and overcast and the forecast was for strong winds, so not ideal. We did rig up the sheets for the cruising chute but without any serious prospect of using it. We were in Group 7 starting at was 8.30 a. m. and we motored out early to get the feel of the south westerly wind which was much higher than down the Medina. 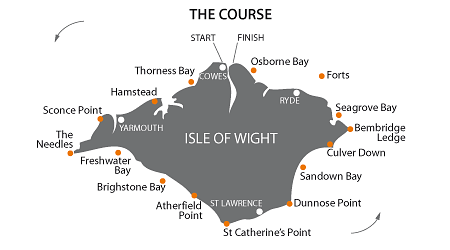 We chose the southern holding area with the idea of sailing north over the start line with the wind on our port side. I won’t bore the non sailors with the technicalities but this was not the optimum strategy because yachts on the other tack take precedence. Anyway, our skipper got us safely through the other yachts and we crossed the line within five minutes of our start time. 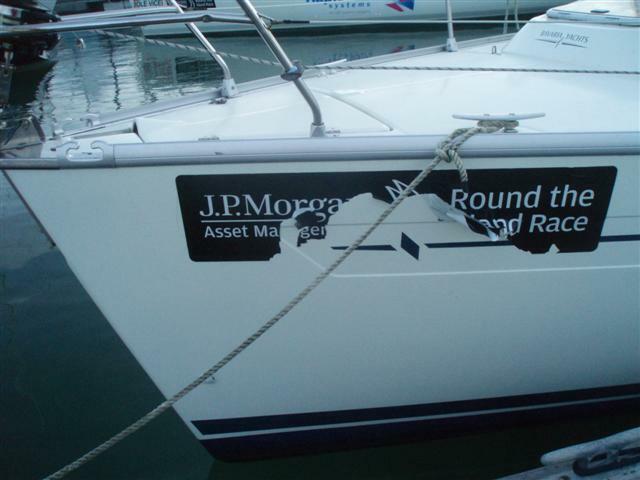 The wind was Force 6 (22-27 knots) as we tacked our way down the Solent with maximum reefing and still healing over. There were so many boats that it was tricky, to say the least, and the Mayday calls started to come over the radio. We were all sobered up when, half way to Hurst Castle, we saw the twin hulls of a catamaran floating vertically in the sea! It was hard sailing down to the Needles with Andrew at the helm. Kerry and James took the genoa while Janet and I took the mainsail and we got into a rhythm; tacking quite well even if I say so myself. The waves increased in size as we approached the Needles and the wind gusted Force 7; we all agreed that we wouldn’t be out in this if we were recreational sailing! Anyway, Andrew took us round the Needles without incident and handed the helm over to Kerry. Her experienced showed and we slowly moved up the field as we stayed on a single point of sail down to St Catherine’s Point which is about half way round the 50.1 nm course. While I did manage to take a few photographs and crew I didn’t record any split times so I don’t know how long it took us to round the Point. Just after the Point I took over the helm and this was the angle to the wind that we would have put up our spinnaker but there was too much wind and Mirabeau is only a Bavaria 32. Some of the larger boats did hoist their chutes and moved rapidly up the field. Somewhere along the back of the island we had the cheese and ham rolls that had been made the day before, plus cakes/biscuits. This sailing certainly gives me an appetite! 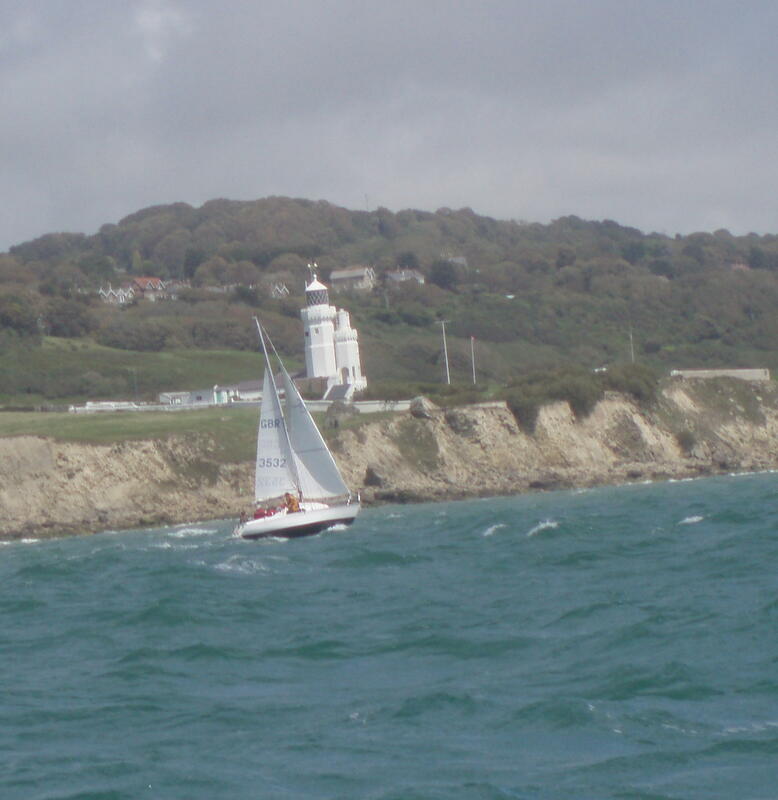 We sailed up to Bembridge Ledge, jibing as we went and rounded the corner. 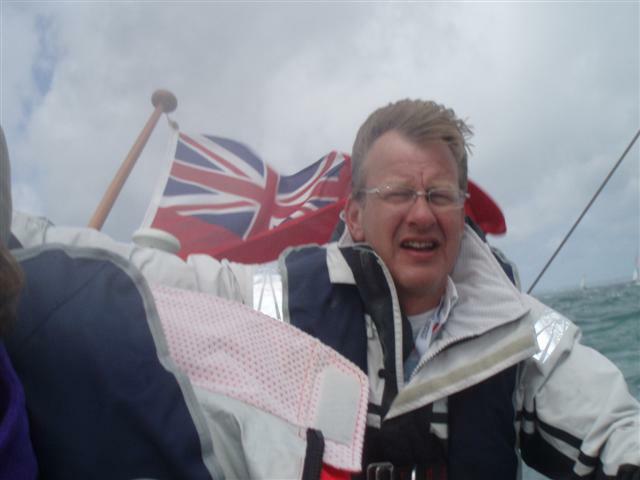 At Seagrove Bay (about 40 nm round) I handed the helm back to Andrew who sailed us between the Forts, through Osborne Bay and across the finish line. This was another hard beat as the wind had sifted a bit, just enough to make us have to work rather than have a nice haul home. We were all very tired by the time we got back to the Marina; it had taken us eleven hours to get round. We knew this would not be a top quartile time but I was pleasantly surprised by our actual result. In our Group there were 193 entries and we came 135th. Thirteen boats did not declare a time, two were disqualified, sixteen didn’t even start and 18 retired on account of the conditions. A good foundation upon which to improve next year !! This entry was posted in Sailing by markh. Bookmark the permalink.